Planning a trip to the beach with your family? Be sure to pack a few of these beach read books for the day. Beach reads are typically those books from your to be read pile that you save for down time on vacations. Some favorite beach read genres are adventures, romances, and other light reading that takes you away from your daily routine. Beach reads to share with your children are beach and ocean themed books. Read these books together to build family traditions, enhance travel time, and/or create a knowledge base for young children. Most of all beach reads for shared reading are fun books for your family. Use these beach reads to start conversations with your child. 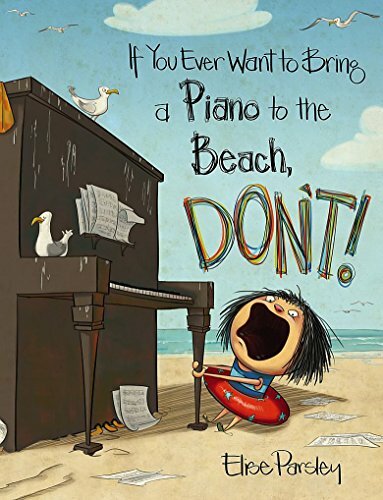 Before you leave on your trip be sure to share with your children Elise Parsley’s If You Ever Want to Bring a Piano to the Beach, Don’t! This book is sure to ease the inevitable negotiations on what to pack and what not to pack for your family’s day at the beach. Just be sure to pack a few extra large zip top plastic bags for safely transporting your books! For young children, reading a book about a trip to the beach can provide them an introduction to a new experience. Even if your family does not visit a beach, a book about playing on the beach can provide ideas for sandbox play, water play, and spark creative use for other sensory materials like sea shells or boat and float toys. Talk with your child during the shared reading. When talking with young children use Child Directed Language (CDL). Child Directed Language includes raising the pitch of your voice and having a rhythmic cadence for your speech while maintaining eye contact with your child. It also substitutes simpler vocabulary or even recognizable sounds for more difficult or longer words. Examples include onomatopoeia — “tick tock” for the word “clock” or “time” and using fewer syllables or more descriptive phrases — “train” or “choo choo” instead of “locomotive engine.” Most of all, Child Directed Language builds in expectation and time for responses from the child. There is a give and take. Make it a two-way exchange of communication with your child, like a volleyball passing from team to team instead of a batter hitting a ball to a fielder. This way a foundation for shared communication is built instead of merely a quiz situation between the adult and child. For babies, when reading use the “point — label — pause” technique. This will provide a pattern, so when your child is able to vocalize and/or repeat single words they will have a structure for learning new vocabulary from the pictures. For toddlers, point out the sequence of events for the story. This will build the awareness that stories have steps that they follow that are logical and time-ordered. You can do this by reviewing what just happened on the previous page(s) — predicting what might happen next — then discussing if the prediction was correct. For preschoolers, point out cause and effect in stories. Preschoolers are learning how to understand plot. They can work on identifying how the character’s actions affect the story — bringing a piano to the beach creates problems that are not fun. Older children can bring in prior knowledge and experience to conversations about the books by adding facts or background experiences to the story (“remember when we …”). Older children can also compare and contrast observations of characters’ actions, intentions, and actual outcomes in the story. For children with experience visiting a beach, books can be a way of remembering activities. Their prior knowledge with a real beach can enhance discussions on pictures and activities in the books. Use your child’s experience on a beach to compare what is the same and what is different between what they remember and what is shown in the book. Keep the concepts about beaches and oceans at the forefront of your child’s memories. Reread your child’s favorite book. 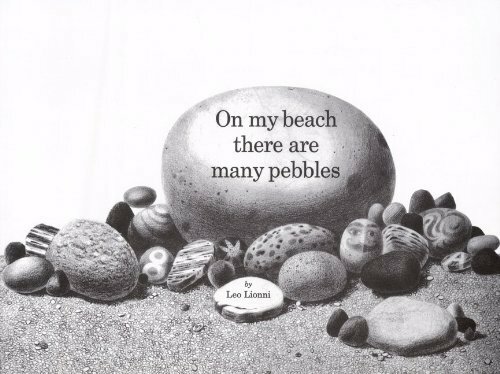 Then add on other books or experiences to keep the theme going — create crafts/art projects with sand, sea shells, or photos. Create a small scrapbook with mementos to help your child remember their trip to the beach. 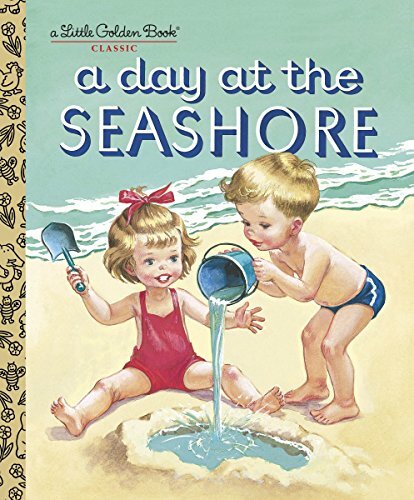 The first few books on the list are old fashioned picture books with a beach theme. Parents and grandparents may remember these books from their childhoods. Establish a tradition — now’s the time for the next generation to share in the reading experience. 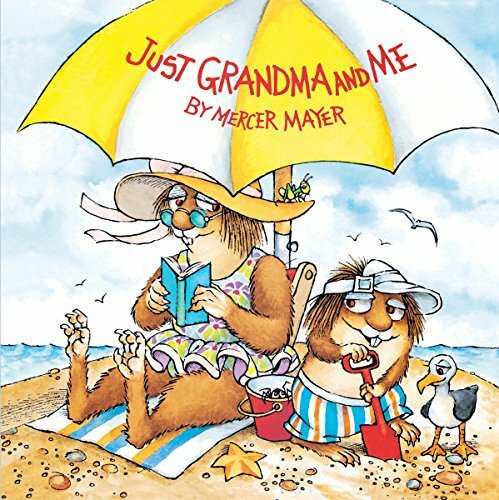 Just Grandma & Me, words and pictures by Mercer Mayer is a picture book for preschoolers, ages 2-5. Little Critter, goes to the beach with his grandma – a happy day, a few small adventures, and a delightful relationship. Young parents may remember having this book read to them when they were preschoolers. 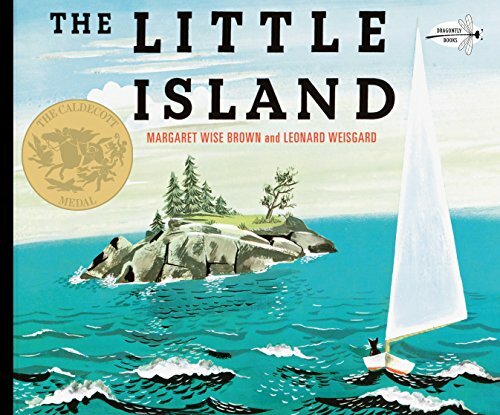 Margaret Wise Brown’s The Little Island, Leo Lionni’s On My Beach There are Many Pebbles, and Kathy Jackson’s A Day at the Seashore are nostalgic picture books. Some grandparents of young children may have had these titles read to them the first time they went to the beach. These books are great before a short nap under a beach umbrella or after a day in the sun. The retro colors of the pictures are soothing and calming after bright sunlight and exuberant colors found at a day at the beach. Sturdy board books to share with your baby or toddler at the beach. 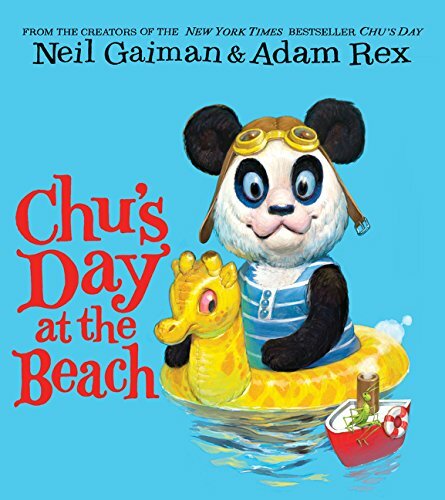 Neil Gaiman & Adam Rex’s Chu’s Day at the Beach. Follow Chu’s fun and frolic at the beach. 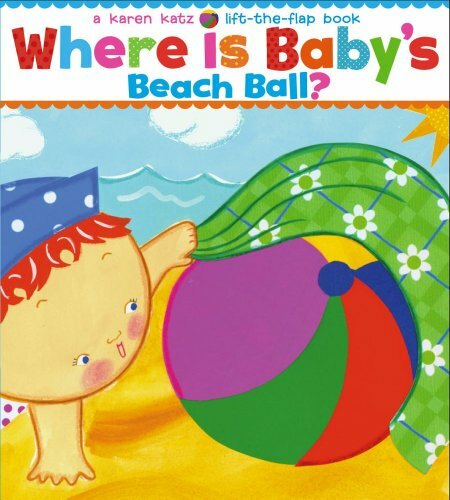 Karen Katz’s Where’s Baby’s Beach Ball has lift the flaps for babies to explore. 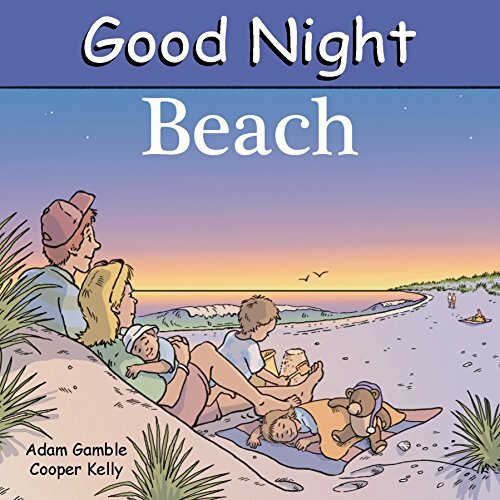 Adam Gamble’s & Cooper Kelly’s Good Night Beach. A great way to end your day at the beach is to transition to your night time routine. Read a about a family watching sunset on the beach. Preschoolers enjoy sharing books with favorite characters. It provides them with a sense of familiarity and stability. Preschoolers will also enjoy that the characters in the book do the same things at the beach that they do, such as play in the sand and play in the water. 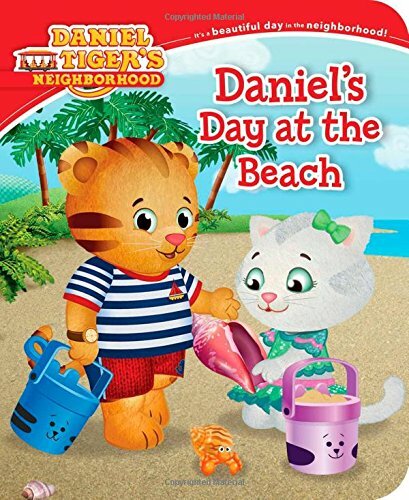 In Daniel’s Day at the Beach, Daniel Tiger goes to the beach with his family and friends from PBS’ Daniel Tiger’s Neighborhood. Toddlers who enjoy learning social skills from this show will recognize the play and learn format from the videos. 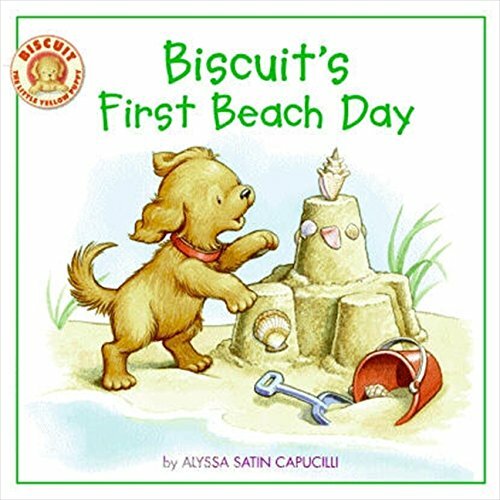 Biscuit’s First Beach Day— words by Alyssa Satin Capucilli, pictures by Pat Schories, will be familiar to preschoolers and early readers who have shared reading experience with any of the other Biscuit adventure book. 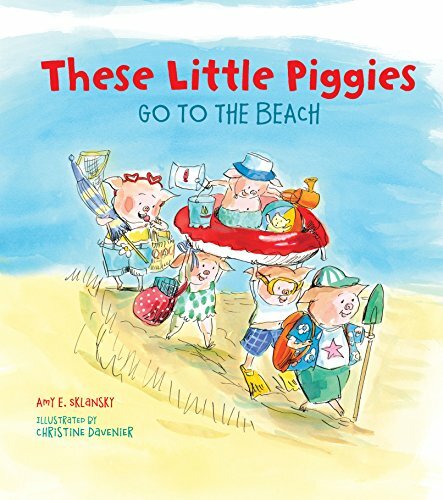 In Amy Slansky’s These Little Piggies Go to the Beach the piggies from the childhood finger play “This Little Piggie ____” star in this picture book. With naked toes at the beach this book will be a happy break from playing in the sand. The following books have gorgeous pictures. Children of all ages will appreciate the artwork when they need a bit of break or quiet time on the beach. 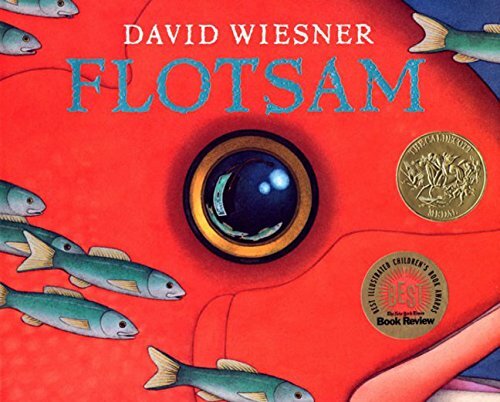 David Wiesner’s Floatsam is a Caldecott medal, wordless picture book. The pictures tell a complicated story of a boy finding a camera on a beach and discovers the camera has recorded its travels around the world and deep under the ocean. 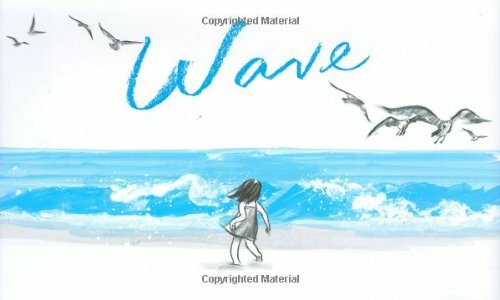 Suzy Lee’s Waveis another wordless picture book. The pictures show the story of a little girl be friending and playing with an ocean wave at the beach. Similar to the opening scene of Disney’s Moana. 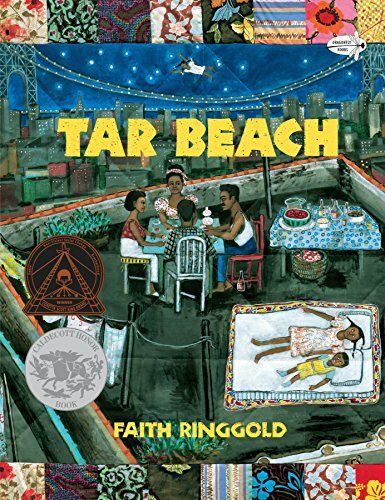 Faith Ringgold’s Tar Beach is also a Caldecott winner. This picture book shares the story of a city family spending time together on the roof top of their apartment building, pretending that it is their tar beach. For elementary aged children, here’s a pair of science themed books for the beach. 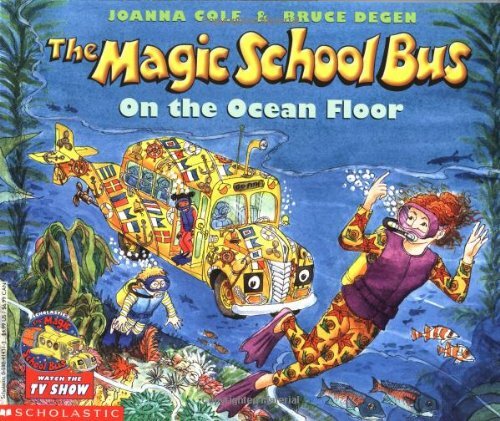 The Magic School Bus on the Ocean Floor, the words are by Joanna Cole and the pictures by Bruce Degan. Teacher extraordinaire, Ms Frizzle takes her class on a field trip to the beach which of course turns into an exploration on the Ocean floor. 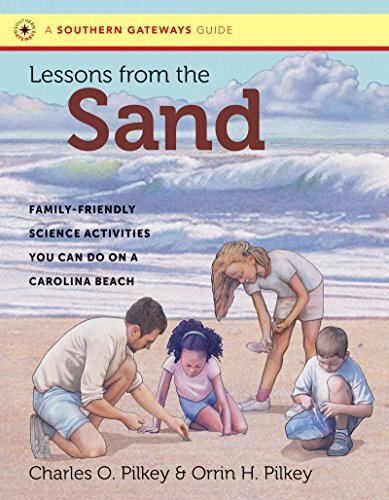 Lessons from the Sand: Family-Friendly Science Activities You Can Do on a Carolina Beach (Southern Gateways Guides) — combines science and science activities for families to enjoy together while visiting a beach. Sand, rocks, surf, and tidal pools – beaches are great places to explore. Discover a little more territory with the following adventures. 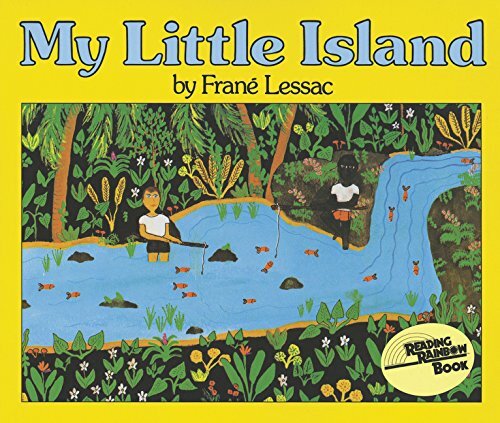 In Frane Lessac’s My Little Island, a boy explores a Caribbean island with his friend. 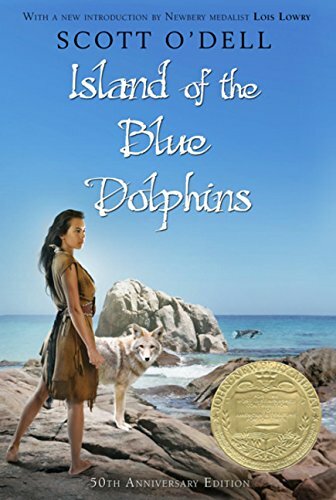 Scott O’Dell won the Newbery award for Island of the Blue Dolphins. In the novel, Karana, a native American girl, survives and thrives on an island all by herself for 18 years. An exciting read for children ages 7 – 10 or grades 2 – 5.